The Hague (Den Haag in The Netherlands) is a city known for it’s International Court of Justice. It is the seat of the Dutch government. 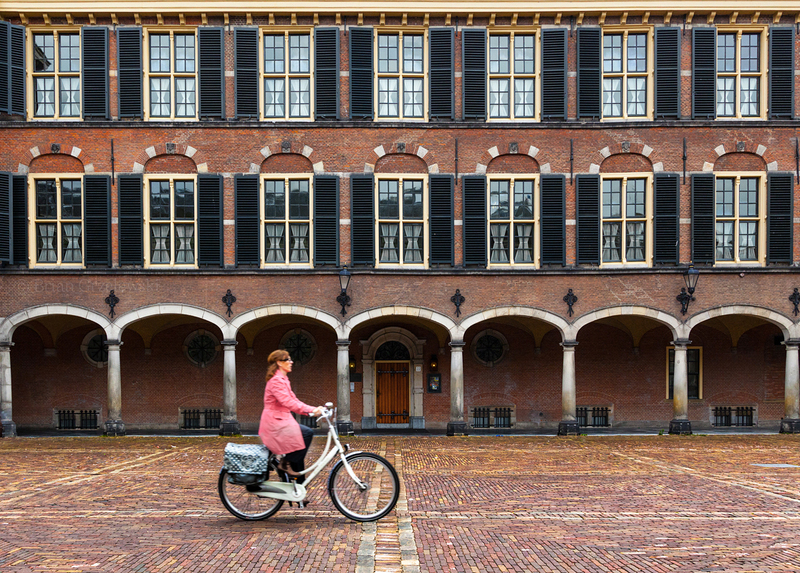 This building has been the location for the Dutch Parliment since 1446. Against this impressive backdrop, a woman rides home on her bicycle, carrying her groceries in bags attached to her bike. The Dutch use bicycles vastly more than any other country I have visited. There are whole separate roads for bicycles next to many of the main roads. Also, the country being almost completely flat makes it easier for the entire culture to adopt bikes as their primary means of transport. This entry was posted in The Netherlands (Holland) by Brian. Bookmark the permalink.